The twenty-first addition to the Marvel Cinematic Universe is here, and for the first time we have a female lead and title character. Black Widow is one of the Avengers, Gamora is one of the Guardians, Wasp got her name in the second Ant-Man movie, but Captain Marvel is Marvel’s answer to DC’s Wonder Woman, an elite and powerful character who is here to make a huge impact on the entire story arc of the MCU. To get the job done, Disney chose, *checks notes*, the directors of Mississippi Grind and the actor from Room. Umm, hmm, not exactly the names that come to mind first when thinking about comic book action flicks, but hey, how much talent can it really take to film aliens beating each other up. 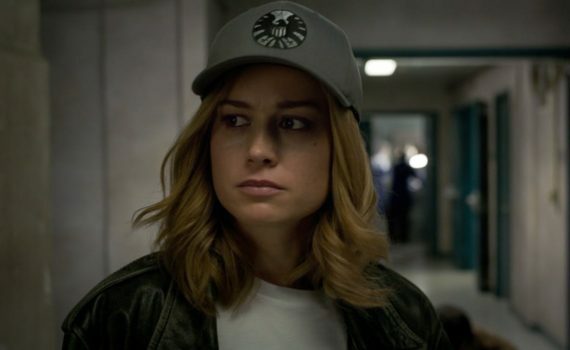 Turns out a lot, because while Captain Marvel is better than probably half of what we’ve seen from this universe to date, it falls well short of the other 50%, simply because no one involved knew what they were doing and no one on the outside honestly expected much more. An elite team of Kree warriors protect the multi-planet empire from the evil Skrulls, who invade worlds and attempt to settle throughout the galaxy, the wicked shape-shifting demons! Vers is a soldier in training, under the guidance of the mighty Yon-Rogg, but she is taken prisoner by the Skrulls, and then crash lands on a distant planet; Earth. There she learns that there is more to her past then she knows, and that there are many secrets she has not been told. Vers’ real name is Carol Danvers, and she was given superpowers by the Kree who saved her life. 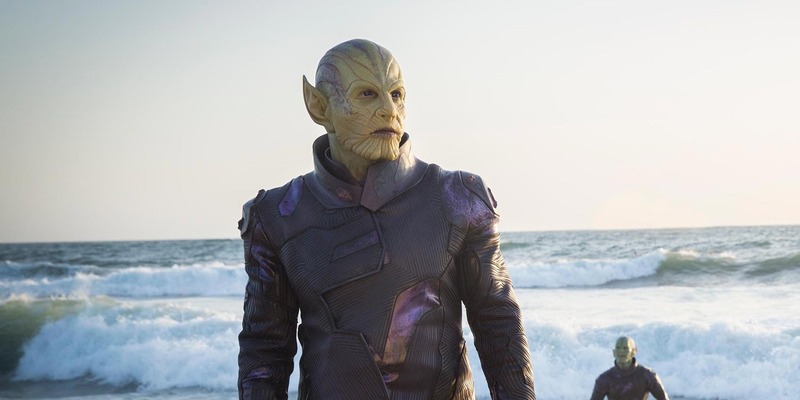 She was once part of a project that would change the universe forever, but the Skrulls attacked, and are now after the invention again. This time, Danvers will be ready, and she will use her new powers to protect what she almost lost the first time. Along for the ride is S.H.I.E.L.D. 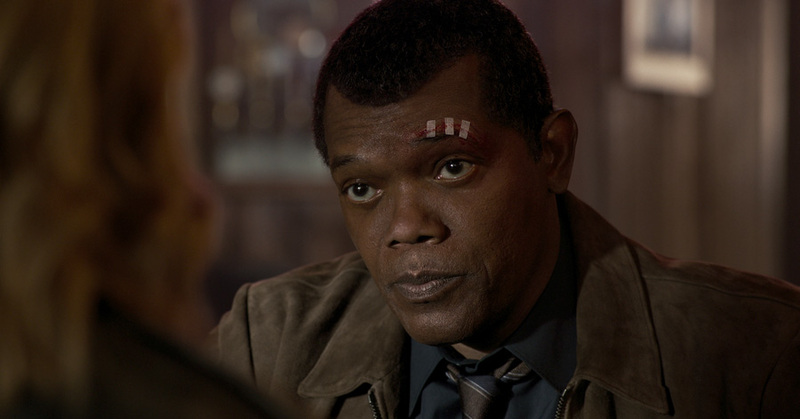 agent Nick Fury, who can tell that something monumental is going on, even if he can’t completely understand what it is. But neither does Carol; she’s in over her head, and will have to learn who her true friends are before it’s too late. I really liked both Mississippi Grind and Room, like really liked, but not in a million years would I have paired together their directors and actors and forced them to make and be aliens and superheroes fighting each other in a 90s L.A. Blockbuster. I mean, that seems like a very bad idea in theory, and I can attest that it was also a very bad idea in application. Not as bad as, say, a blonde-eyebrowed Chris Hemsworth with Kat Dennings as comic relief, but still not great. Captain Marvel was never going to be anything but OK, its ceiling was always extremely close above the heads of its cast & crew, because there was simply no getting around inexperience, disingenuity, and talents that lie elsewhere. A drama from this team sounds amazing, but a copycat comic book adventure is what we were served here, and while the addition of the Captain Marvel character is fun for the franchise, her stand-alone film isn’t good enough to garner the responses it has received from those simply excited to see a heroine on screen. It’s also not bad enough to warrant the fan boy freakout either, landing somewhere in the middle of Doctor Strange solid and Ant-Man and the Wasp throwaway. Misogynists will always try to knock feminist pillars down, that’s expected, and movies like this deserve support for standing up in the face of that hate and saying “hey watch this”, but that doesn’t mean that the result is something incredible, only that the effort is respectable. Captain Marvel is only OK in so many ways that it almost becomes painful, because I really was hoping that it would be so much better. Larson is a fine lead hero but not special in any way, SLJ is good but it seems like he completely forgot his Fury persona, Mendelsohn is a genius but his makeup was awful, Jude Law has a nice part but wasn’t really needed, Annette Bening shows up but she never feels right, Ronan makes a cameo but doesn’t matter at all; if this movie was supposed to be an explosion it was definitely more of a dud. The fight scenes were way too blurry and poorly edited, the backstory was messy and convoluted, the era references felt forced, Captain Marvel has near-Superman invincibility, and for most of the film I simply didn’t care what happened next. Now, I will add that I understand the significance of the power this movie has, and its impact on the industry; that doesn’t escape my understanding. And also, I liked it better than some others of the MCU, probably eight or nine or ten others, films that were just too stupid to be allowed. This one was perfectly smart enough, no doubt about that, and had its heart in the right place; again, no doubt. This just wasn’t the team to do the job, and the movie never became the Guardians of the Galaxy-level hit that somewhere far back down the line it had the potential to be.